I am on a beet kick! We have talked about the benefits of beets before, but it bears repeating – or rebeeting – because they are so good for you! Beets are awesome and are are all the rage in endurance athletics circles because they have been proven to boost athletic performance. 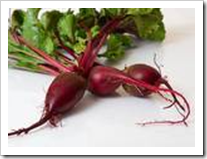 While I am very athletic in my daily life – I am pretty average when it comes to racing – so I could use a little beet power! Here is a page devoted to their benefits, which range from improved brain health and cancer prevention properties to helping stave off inflammation. Incidentally, when I talk about “fighting inflammation,” which I seem to often ramble about, I’m not necessarily talking about visible inflammation that you can see or directly feel. The life stresses, food choices (and especially excess weight), and environmental toxins that fill our days can leave our bodies in a state of internal inflammation, which can lead to many serious diseases. According to this article, chronic inflammation is being labeled the 21st century’s silent killer. Eating foods high in antioxidants can help you fight inflammation, and will also make you feel amazing. This juice with beet, apple, carrot, and ginger will put some pep in your step, that’s for sure. Ginger is amazing in its own right, but that is a topic for another day! I made this without added water, but, for those that want a thinner juice, adding a little bit of water can help with the consistency. 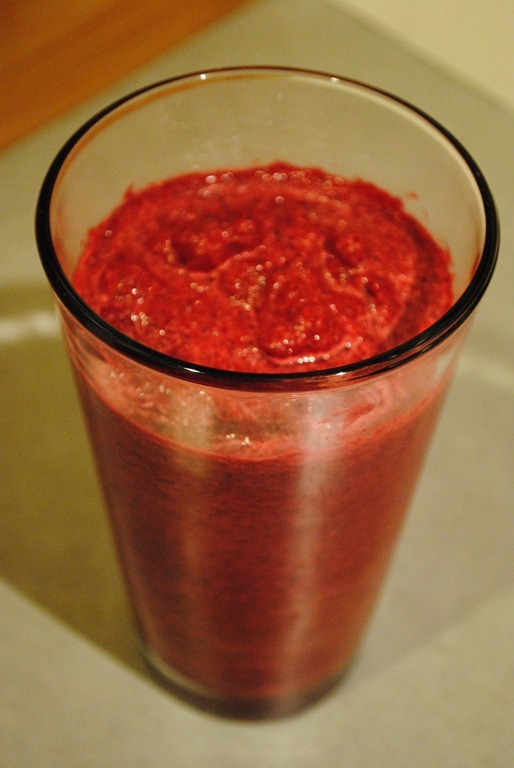 I made this juice in the evening for a nighttime snack, and I couldn’t finish it all. Random note: You’ll notice in this picture that we have a countertop, and a backsplash! Woo-hoo! This is actually in the laundry room, and I’ll be giving you guys a full tour in the coming weeks – it is sooo close to being done. The laundry room will be our first completed interior room of the whole house remodel, and will be the temporary kitchen while we build the actual kitchen. It is complete with concrete countertops (that we poured! ), a farm edge sink, bamboo backsplash and a tile floor. I am currently in laundry heaven, but I don’t want to show you the pictures until I can provide a full view of the finished product. Does the apple help mask the taste of the beet? Was wondering if that or an orange could help “sweeten” it a bit. I want to like beets, but I can’t get over that they taste like dirt to me! How small is a small piece of ginger? Just a small chunk – I usually do one that’s about the size of my thumb above the knuckle. But, it’s up to you and how much you like ginger! I have been meaning to email you and thank you for your suggestion of using peeled, steamed beets. 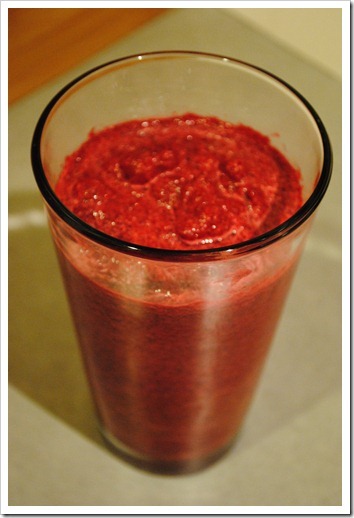 I found them in my grocery store and made some Beet-Berry Smoothies, which I liked! The recipe called for beets, berries (some frozen), a little greek yogurt and a bit of a sweetener (a dash of maple syrup). My 10 year old even said it was okay (although I doubt he would have it again). Thanks for your suggestion! Just made this…..LOVE IT! Thanks for the recipe. I had small apples so I used 2 of them, turned out great. Just wondering if the Ninja 400 series 400watt will work for making this juice? Hi, I just came across your beet juice recipe. Is it necessary to peel the fruit/veggies before hand? If your produce is organic, you don’t have to peel it (though I always peel ginger). I am working on the assumption that most people don’t have everything organic. I do generally peel beets to remove some of the “earthiness.” Keep in mind that the Ninja doesn’t remove the pulp, so whatever you put into the blender is what you’ll get out — just pureed.